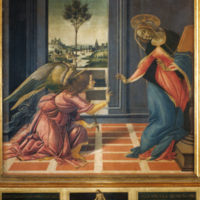 The Annunciation, also known as the Cestello Annunciation, is a tempera painting by the Italian Renaissance master Sandro Botticelli, circa 1489-1490. It is housed in the Uffizi Gallery of Florence. The picture was commissioned in 1489 by the church of the Florentine convent of Cestello which is now known as Santa Maria Maddalena de'Pazzi. Underneath the painting on its original frame are words in latin from St. Luke's Gospel: "The Holy Ghost shall come upon thee, and the power of the Highest shall overshadow thee." Sandro Botticelli (Italian painter, ca. 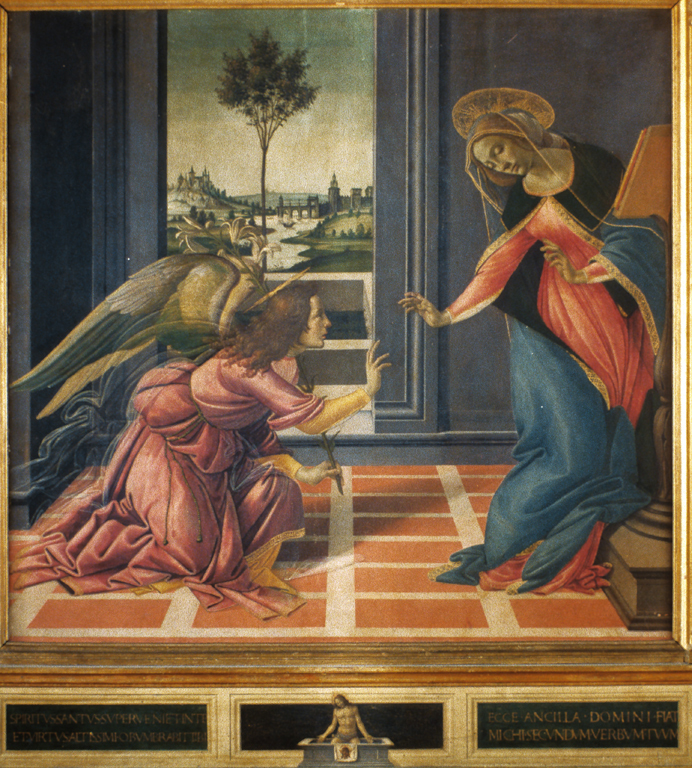 1444-1510), “Annunciation,” Institute Images Online, accessed April 24, 2019, http://westerncivart.com/items/show/2771.